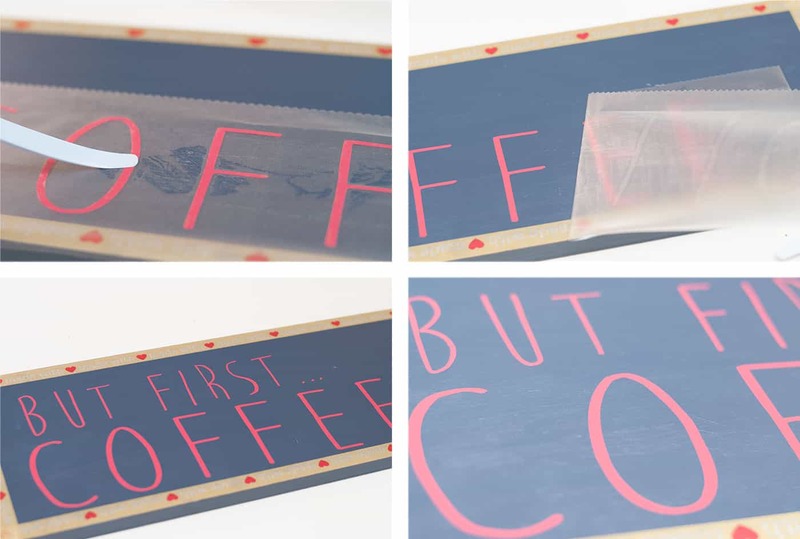 This DIY coffee bar sign project is EASY! Anyone can do it. 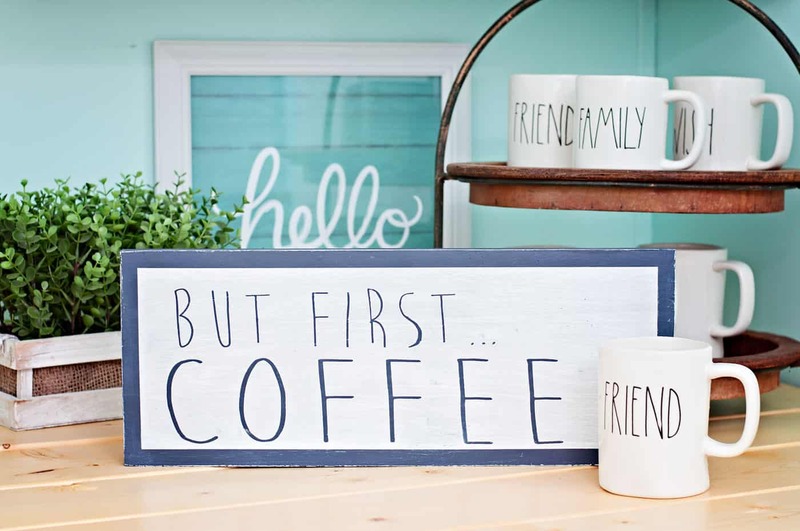 You'll use a piece of scrap wood, some vinyl lettering in your favorite font, and paint. 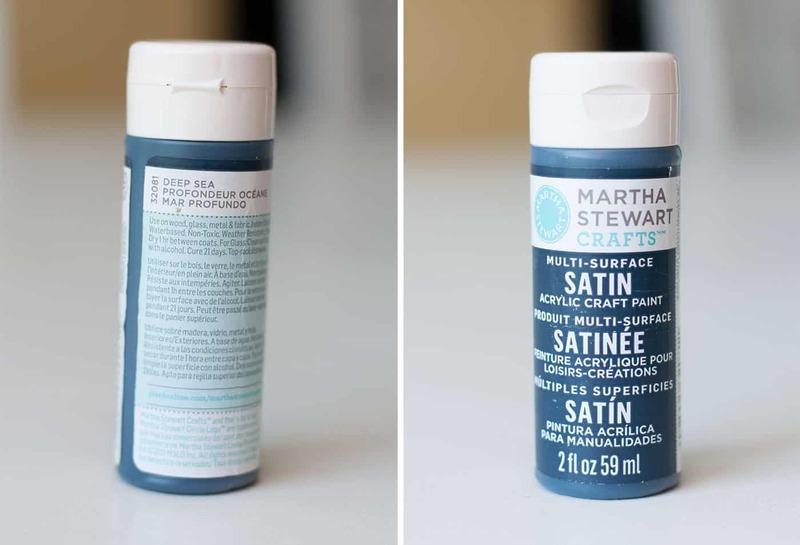 Seal it all up with a coat of Mod Podge. I have a TON of scrap pieces of wood in my shed I save from projects. You never know what other scrap wood projects you can do with it. 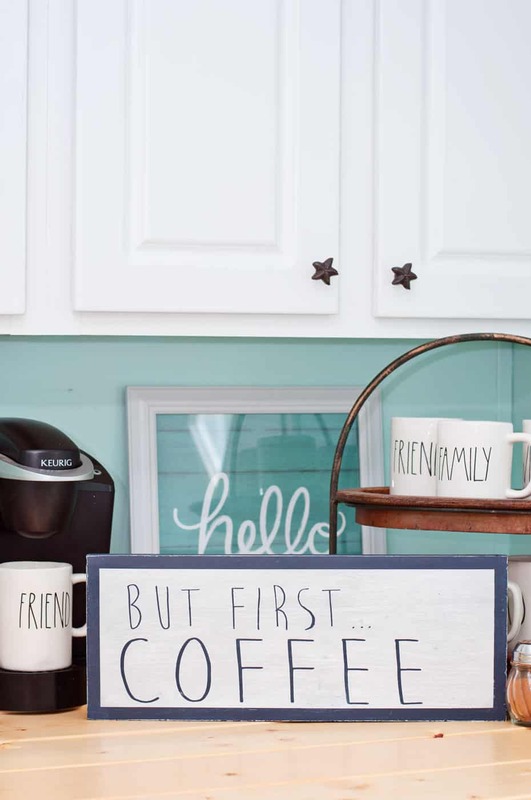 I've been working on redecorating my kitchen and one of the first things I wanted to do was create a coffee bar area. 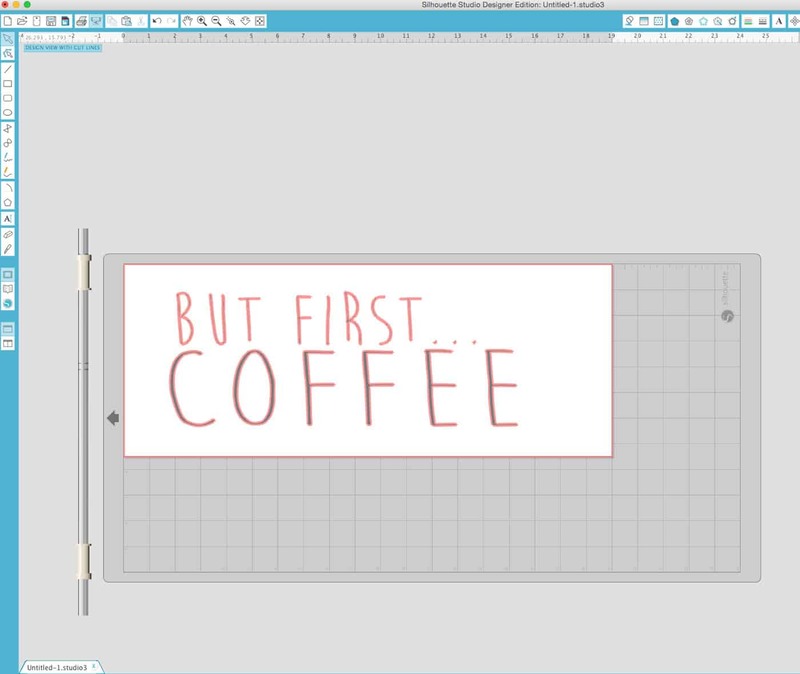 I had everything set up, but I thought it needed a cute DIY coffee bar sign. Of course wherever you get the wood from, be sure to ask before you take it and also be careful (like at a construction site). 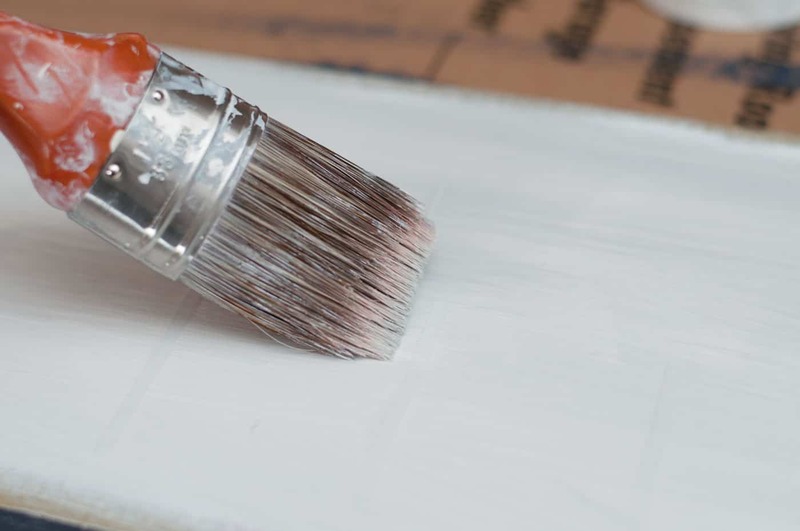 Make sure you handle the wood with gloves if there might be nails in it, and keep some sandpaper on hand if the wood is a little rough and you need to smooth it out. Once I grabbed the perfect size piece of scrap wood, I got started! Here's the how-to. As you can see I used this wood to test out some paint colors. Obviously, it didn't work well. 😉 So, time to paint over. I used a pretty dark blue for the background color of my design. 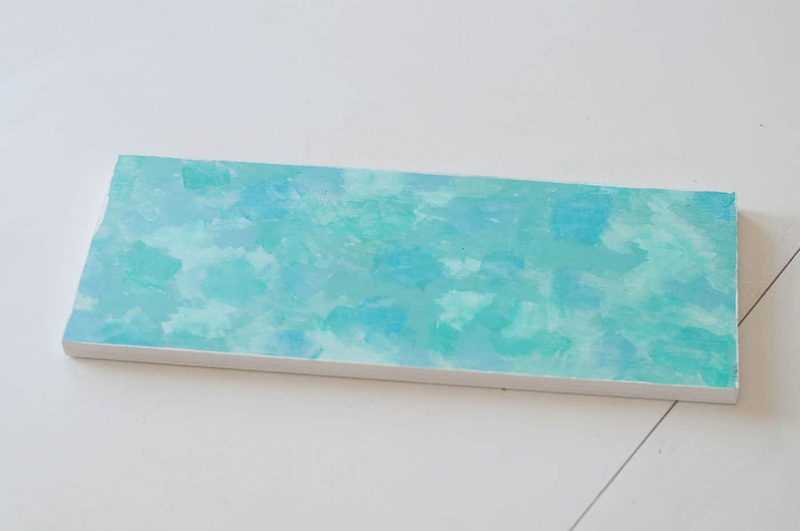 When I finally do a kitchen reveal post on my blog, you will see this blue it's an accent color in the kitchen. I painted a total of two layers and let dry 20 minutes each. I wanted the sides to show the pretty blue color, so I added some “handy dandy” washi tape to the edges and taped it off. This washi tape will act as a resist. 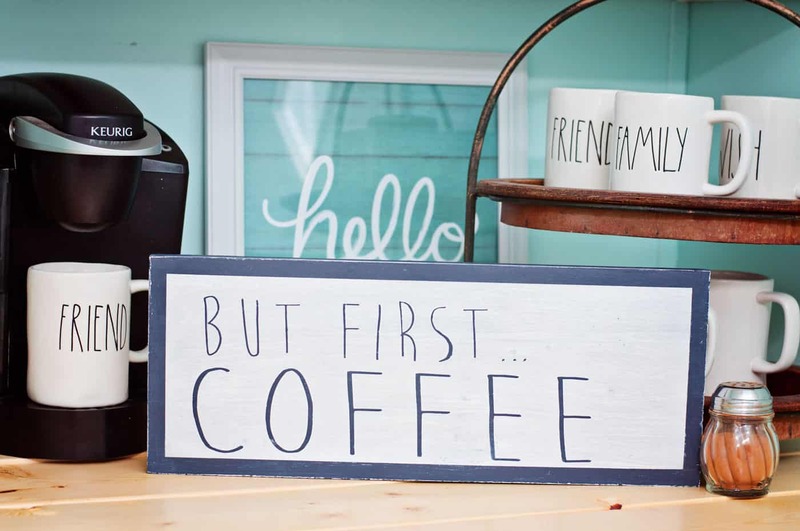 I used my “trusty” Silhouette Cameo to cut out my wording for the sign, and basically make a stencil for the paint. I found an amazing font that actually matched my coffee cups (Moon Flower). If you have any questions about cutting with your Silhouette Cameo, please let me know in the comments and I will be happy to help! I transferred my wording to the board using transfer paper, making sure to smooth it down. 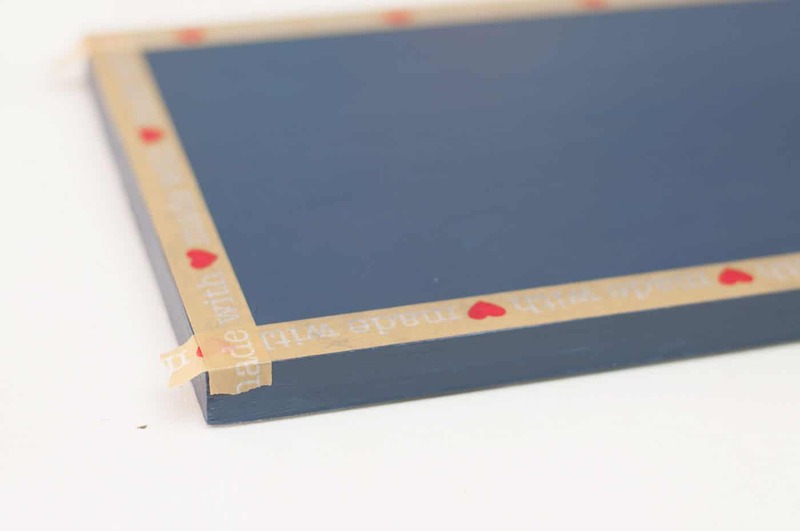 You want to make sure the vinyl sticks to the board very well so that when you paint, it won't bleed through. I painted over the whole sign with some white chalk paint. I did a total of two coats and let each coat dry 20 minutes. 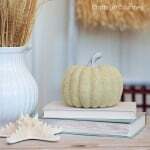 Then I decided to lightly brush some gray chalk paint on top. Just to give it an “aged” look. This is the fun part!! 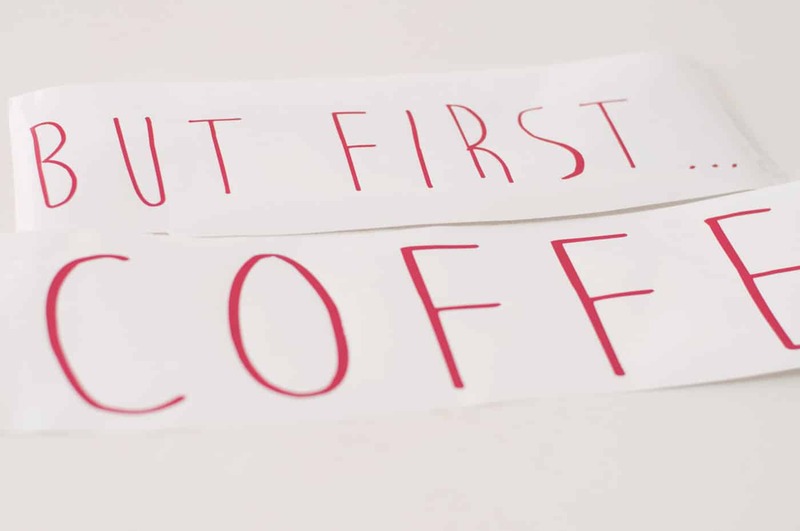 After your paint has dried, it's time to pull off the letters and see your work! Finally, I needed to seal my sign. 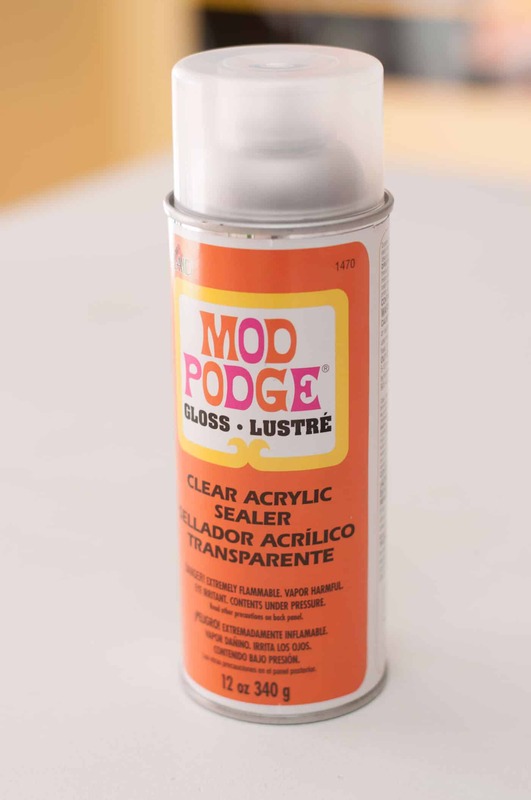 I used some “trusty”Mod Podge Clear Acrylic Sealer. I did a total of two coats, letting each one dry an hour. This will work great to keep my sign protected. Aren't scrap wood projects fun? Now I'm ready to display my “But First . 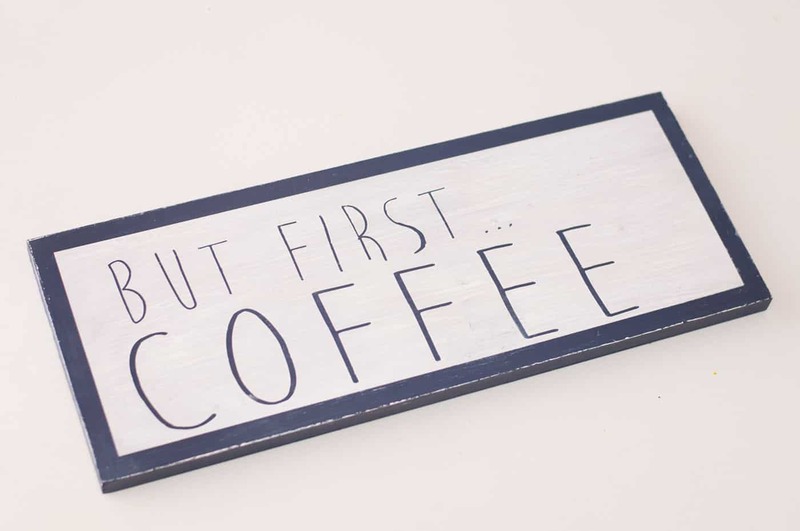 . . Coffee” sign! I think it turned out pretty cute. I plan on hanging it on the wall with some Command strips. I use those all the time; I hate putting holes in the wall if I don't have to. Plus it helps so I don't have to add hooks on the back of my signs! 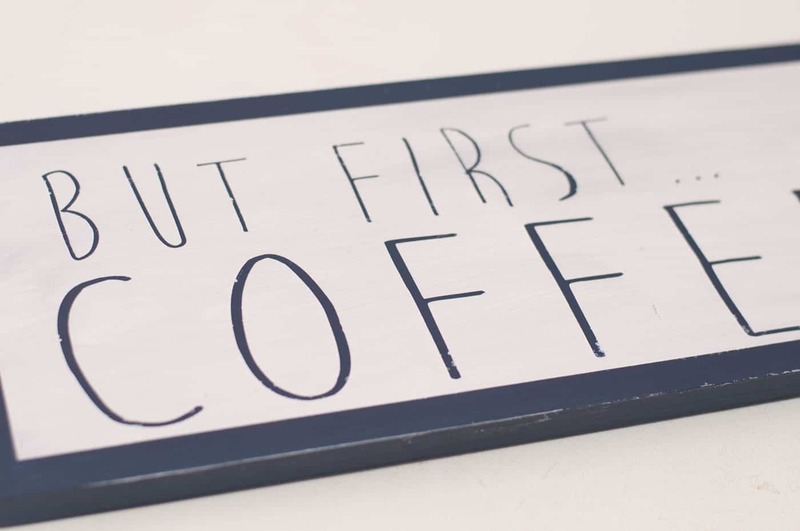 This DIY coffee bar sign was probably one of the fastest I have made. 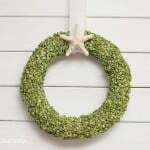 I plan on making a couple more for my kitchen soon. Stay tuned! Let me know your favorite scrap wood projects in the comments! Wanna' keep up with all my craftiness, follow me! 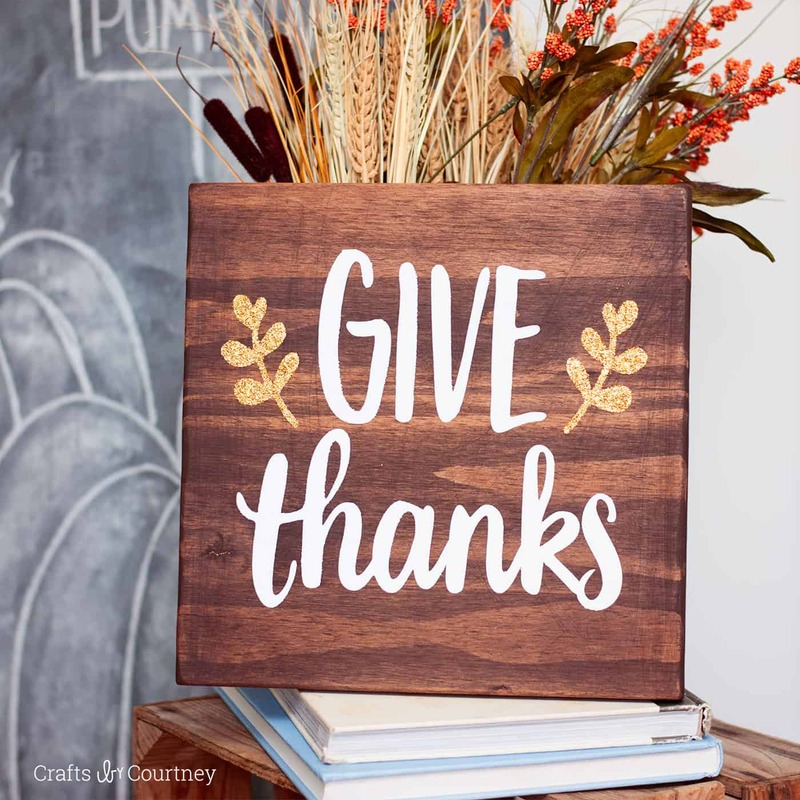 If you enjoyed this DIY coffee bar sign, check out this easy stained Give Thanks sign. 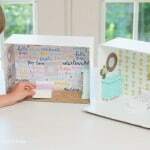 This project also uses a Silhouette cameo! Just click on the image below to see it. THIS IS REALLY A QUESTIO. I HAVE A WOOD CARVING THAT IS STARTING TO FADE. 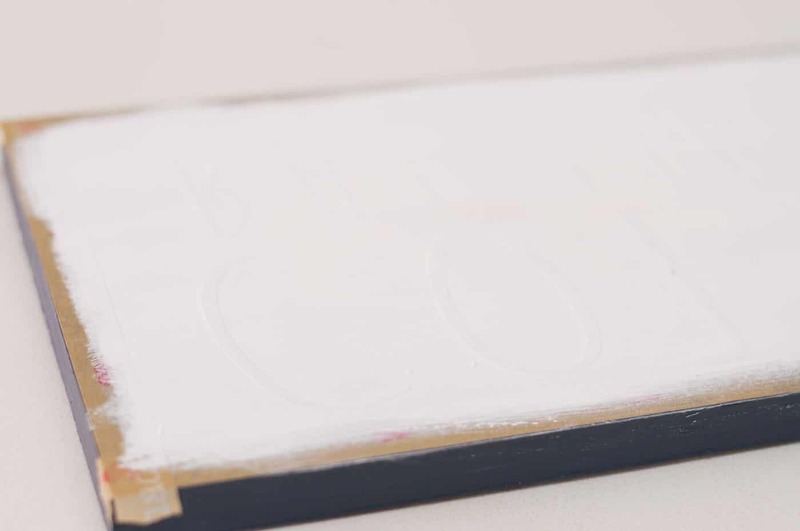 WILL MOD PODGE PROTECT IT FROM BRIGHT LIGHT? WOOD CARVING. MY SON GAVE ME THE CARVING AND HE HAS SINCE PASSED AWAY. I DON’T WANT TO RUIN THE CARVING. 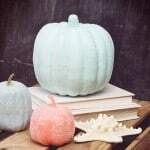 IT IS VERY LIGHT AND I AM TRYING TO KEEP IT FROM ANY MORE FADING.I LOVE MOD PODGE AND WILL ALWAYS USE IT ON MY PROJECTS.I ALSO LIKE THE IDEAS I GET FROM THIS POST.